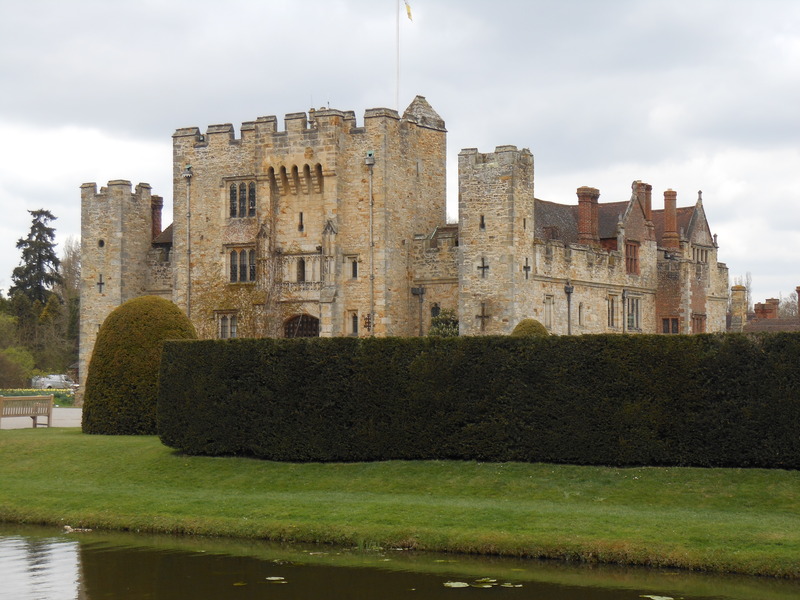 Catherine Howard – History… the interesting bits! This book provides a fresh perspective on the lives of Henry VIII’s six wives by embarking on a journey through the manors, castles and palaces in which their lives were played out. In the Footsteps of the Six Wives of Henry VIII, by Sarah Morris and Natalie Grueninger, is an absolute treasure trove of pictures and information of the many historic locations associated with Henry VIII’s 6 wives. The book is divided into 7 easy-to-follow sections; the 1st covers the principal Royal residences of the period and the 6 subsequent portions are each dedicated to one of the 6 wives, in chronological order. The book examines each of Henry’s queens in turn, looking at the locations associated with them, not only when they were queen, but also from their childhood and early life. In each section, we are treated to the queen’s story, her triumphs and failures, told through the palaces in which she experienced them. In the Footsteps of the Six Wives of Henry VIII takes you on a visit of each location, whether it’s a palace or manor house, the authors give vivid tours, telling you what to look out for, what is still extant – and what is lost to history. 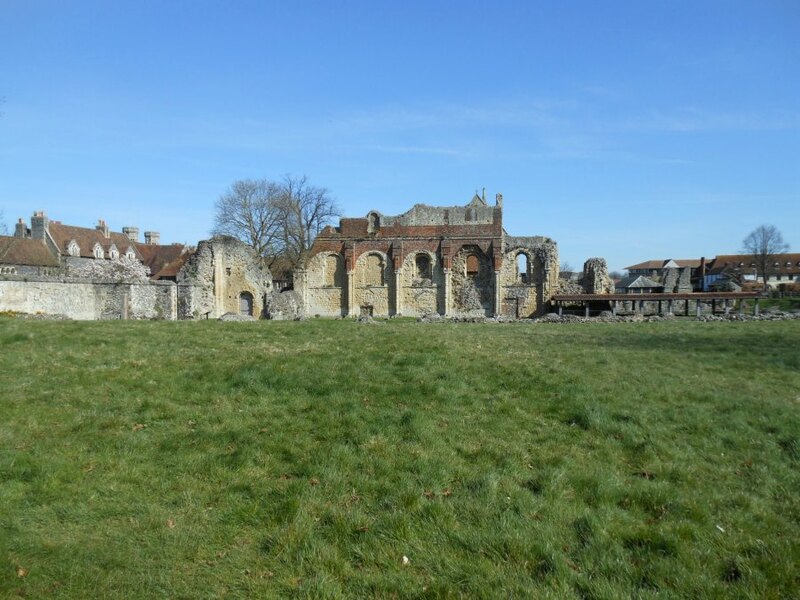 In one location, they guide you to a housing estate and point out the walls which once made up the exterior of a Henry VIII’s now-lost palace. You are also provided with a practical guide to the locations covered, giving you visitor information, parking suggestions, details on refreshments and facilities. With Katherine of Aragon, we visit the magnificent palaces of Spain, while Anne Boleyn takes us from Burgundy to the Loire Valley. Jane Seymour allows us to investigate the renowned Wolf Hall and Anne of Cleves gives us a fascinating glimpse into Germany’s wonderful castles. Jane Seymour The tragic story of Katherine Howard allows us to join Henry’s great progress of 1541, through Lincolnshire and Yorkshire, before the tragic last months of imprisonment at Syon House. Which finally brings us to Katherine Parr, investigating the locations associated with her first 2 marriages, her life with Henry and then her final years with Thomas Seymour.To walk the grounds and corridors of Hampton Court Palace is to walk in the footsteps of all the Tudor kings and queens. Within the Tudor palace’s russet-coloured walls, the present fades into the brickwork and the past emerges to greet us. Although mush of the Tudor palace has, over the years, been modified or demolished and replaced with William III’s and Mary II’s baroque palace, the buildings that survive propel us back through the years to a time when Hampton Court was one of Henry VIII’s most beloved palaces, at the centre of court life and politics. 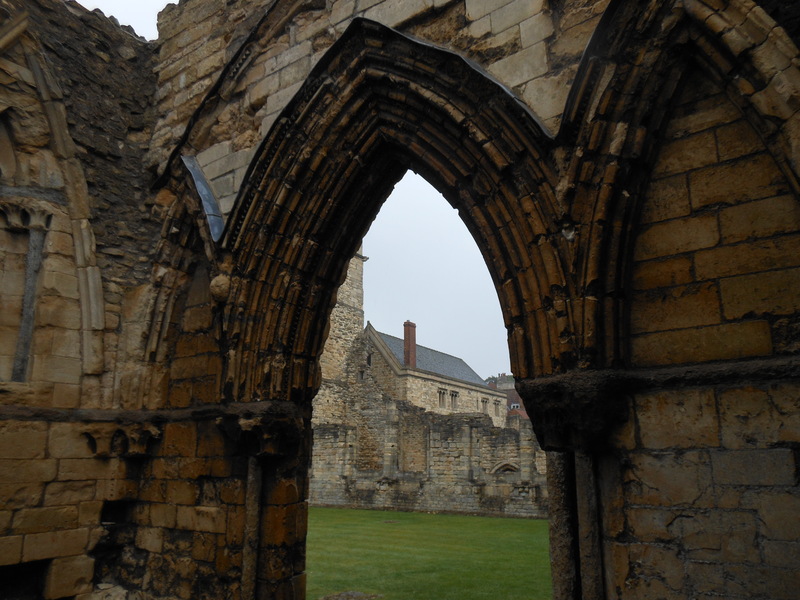 If nothing else, it is worth reading In the Footsteps of the Six Wives of Henry VIII for the research the Sarah Morris and Natalie Grueninger have conducted into the Anne of Cleves panels. These wonderful wood carvings are discussed and investigated in detail; their fascinating story told for the first time in its entirety. It is not hard to imagine the feelings of curiosity and, sometimes, disappointment the authors must have felt as they tried to uncover the provenance of these panels, and their associations with Henry VIII’s 4th wife. Their eventual success and discoveries are a testament to the author’s persistence and tenacity. 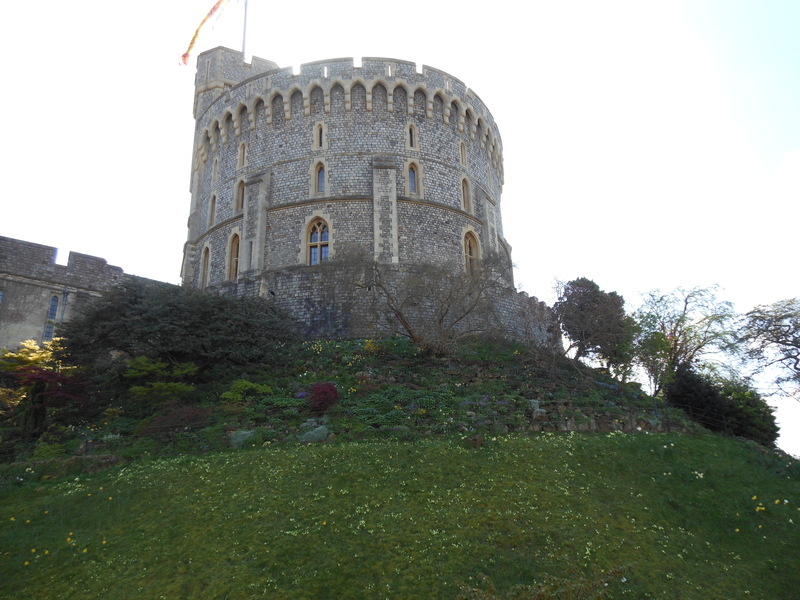 This book is amply supported by quotes from primary sources, describing the locations as they were at the time the queens lived. The authors have a wonderful habit of discussing the difficulties involved in locating and identifying some of the less famous sites, making you feel part of their investigations. An abundance of photographs and illustrations are included in the book. 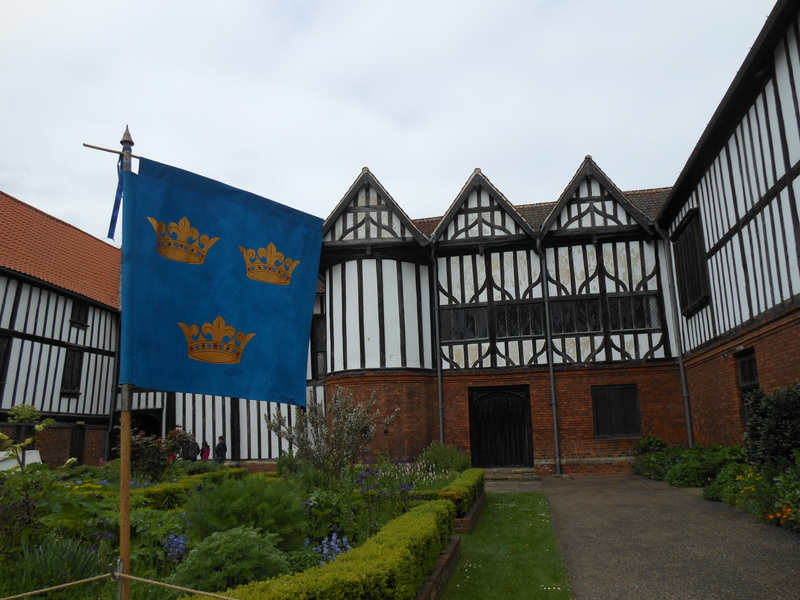 These include colourful photos of the sites as they are now, black and white floor plans from the Tudor period and artwork painted through the ages. Sarah Morris and Natalie Grueninger have created a wonderful book, which is a combination of history book and travel guide. They have worked so well together it is impossible to see the join; they speak with one voice in this stunning collaboration. The book is produced in a way to make it easy to dip in and out of, making it possible to read only about the locations you are currently touring, or to read from beginning to end in a couple of sittings. But be careful, in just looking up one specific location you may find that you lose an entire hour without noticing. The only criticism I would have is that there are no footnotes to clarify the source of quotations, which makes it harder to use as a research tool, but not impossible. This fault is partly offset, moreover, by an extensive bibliography of primary and secondary sources, and in no way detracts from the enjoyment of the book as a whole. Remarkably, the authors give equal empathy to each of Henry’s wives. It is impossible to discern a bias for Katherine of Aragon or Anne Boleyn (a remarkable achievement). Each property is subject to the same attention to detail, whether it was a frequently occupied palace, or a manor house visited for just a few days while on progress. 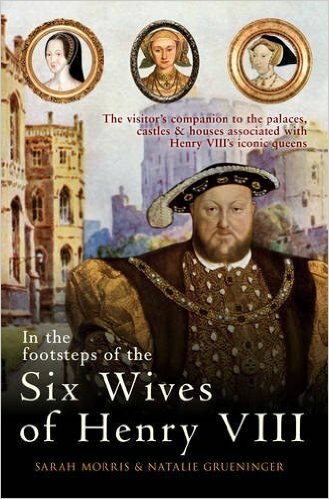 In the Footsteps of the Six Wives of Henry VIII is beautifully written and thoroughly engaging. You can practically hear, see and smell the Tudors. The book is a detailed, enjoyable and enlightening read, no matter whether you are intending to travel to the palaces, or visiting them through the book, you are in for a real treat. The authors have an incredible ability to invoke the past and recreate the sumptuous, lavish lives of England’s most fascinating queen consorts. It will be a valued addition to anyone’s Tudor library.